Description: Drag a handle to select a numeric value. The jQuery UI Slider plugin makes selected elements into sliders. There are various options such as multiple handles and ranges. The handle can be moved with the mouse or the arrow keys. The slider widget will create handle elements with the class ui-slider-handle on initialization. You can specify custom handle elements by creating and appending the elements and adding the ui-slider-handle class before initialization. It will only create the number of handles needed to match the length of value/values. For example, if you specify values: [ 1, 5, 18 ] and create one custom handle, the plugin will create the other two. Whether to slide the handle smoothly when the user clicks on the slider track. Also accepts any valid animation duration. Boolean: When set to true, the handle will animate with the default duration. String: The name of a speed, such as "fast" or "slow". Number: The duration of the animation, in milliseconds. Disables the slider if set to true. Determines whether the slider handles move horizontally (min on left, max on right) or vertically (min on bottom, max on top). Possible values: "horizontal", "vertical". Whether the slider represents a range. Boolean: If set to true, the slider will detect if you have two handles and create a stylable range element between these two. String: Either "min" or "max". A min range goes from the slider min to one handle. A max range goes from one handle to the slider max. Determines the size or amount of each interval or step the slider takes between the min and max. The full specified value range of the slider (max - min) should be evenly divisible by the step. Determines the value of the slider, if there&apos;s only one handle. If there is more than one handle, determines the value of the first handle. This option can be used to specify multiple handles. If the range option is set to true, the length of values should be 2. Removes the slider functionality completely. This will return the element back to its pre-init state. Gets an object containing key/value pairs representing the current slider options hash. Sets the value of the slider option associated with the specified optionName. Sets one or more options for the slider. Get the value of the slider. Set the value of the slider. Get the value for all handles. Get the value for the specified handle. The zero-based index of the handle. Set the value for the specified handle. Set the value for all handles. 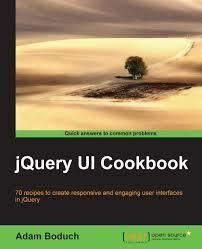 Returns a jQuery object containing the slider. Triggered after the user slides a handle, if the value has changed; or if the value is changed programmatically via the value method. 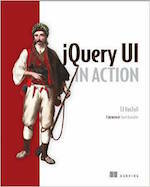 The jQuery object representing the handle that was changed. Triggered when the slider is created. Triggered on every mouse move during slide. The value provided in the event as ui.value represents the value that the handle will have as a result of the current movement. Canceling the event will prevent the handle from moving and the handle will continue to have its previous value. The jQuery object representing the handle being moved. The value that the handle will move to if the event is not canceled. An array of the current values of a multi-handled slider. Triggered when the user starts sliding. Triggered after the user slides a handle. The jQuery object representing the handle that was moved.